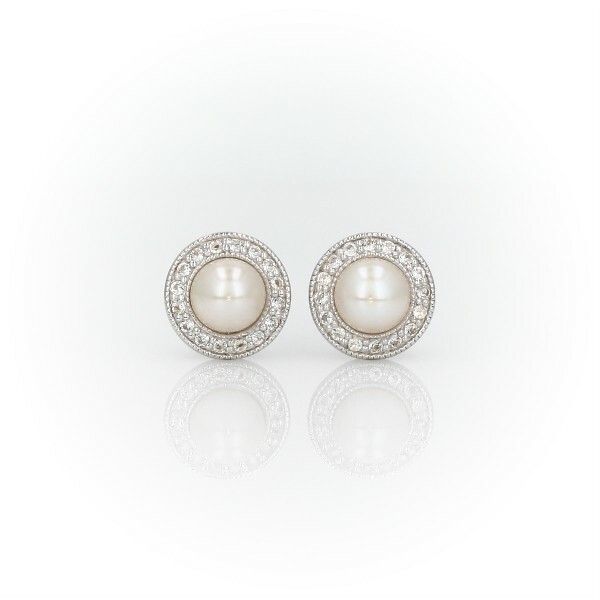 These petite Freshwater cultured pearl stud earrings are crafted in elegant sterling silver. Two round white pearls are encircled by the subtle glimmer of white topaz gemstone halos and a milgrain edge that adds vintage-inspired detail. Their dainty size makes them great for everyday wear, or an understated bridal accent.